Thank you for stopping by! I know most of you have come from Pinterest. 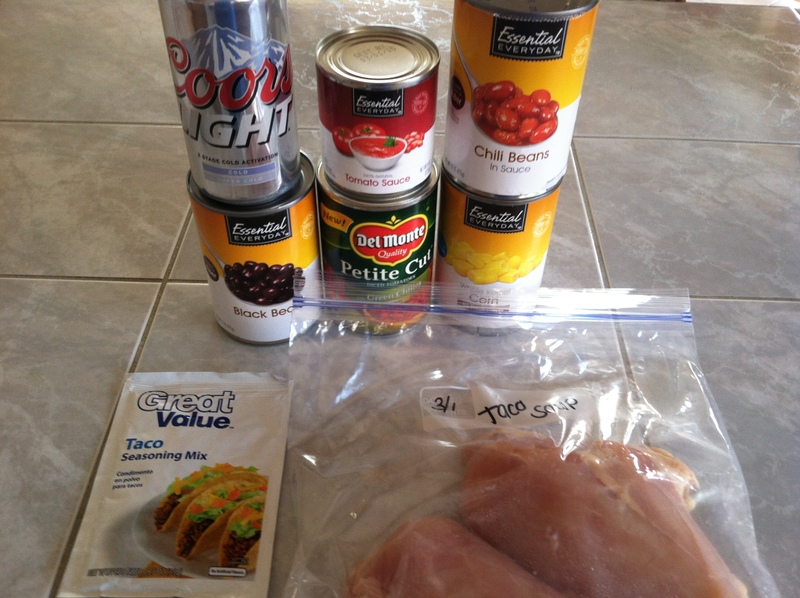 I hope to make more posts related to meal planning and freezer meals in the near future. If you have a specific question or post request then leave a comment and I’ll help as best as I can. I know how much all you mommies LOATHE meal planning. I love cooking, but dislike meal planning. In the beginning of January I finally got up the courage to do one of those freezer meal extravaganzas. I went to a few websites and found recipes that I liked. I made sauces, crockpot meals, marinades, and soups. We are already into March and I still have some meals left over and a few sauces. Obviously, we didn’t LOVE all of the recipes, but we tried them all. I am back and doing another day of freezer meal prep. 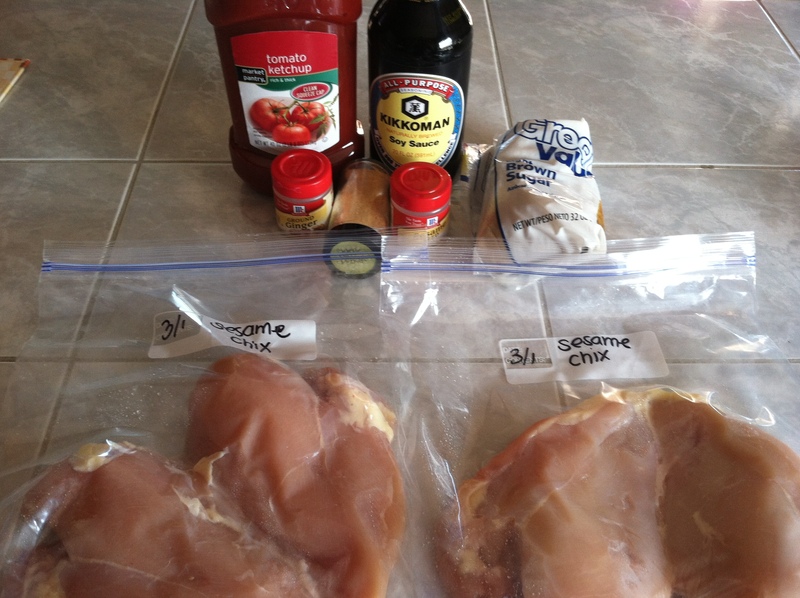 This time I did a mini version of my January test run and stuck with marinades and a soup. We don’t really like crock pot meals. The only one that was good enough to do again was the Healthy Mama BBQ. I loved the convenience of it and the fact that I could start cooking it in the morning and forget about it until it was ready. Soups were our favorite go-to crockpot meal. Meats and Veggies never taste the same frozen as they do fresh. One time, the potatoes came out rubbery. Very unappetizing. Also, if you cook chicken in the crockpot with tomato sauce or anything too acidic, it changes the chicken. It falls apart easier and isn’t AS juicy. 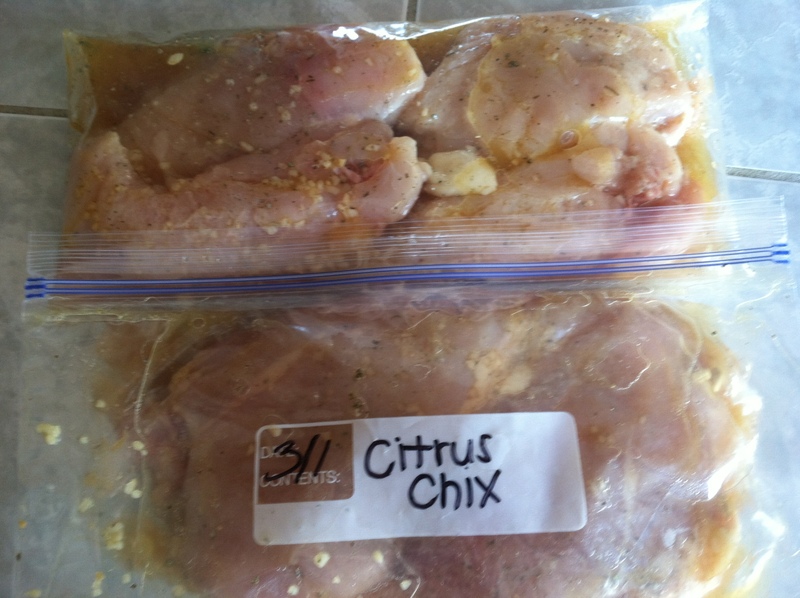 Sure, it’s in the crock pot and it’s in juices, but the chicken itself is not juicy. 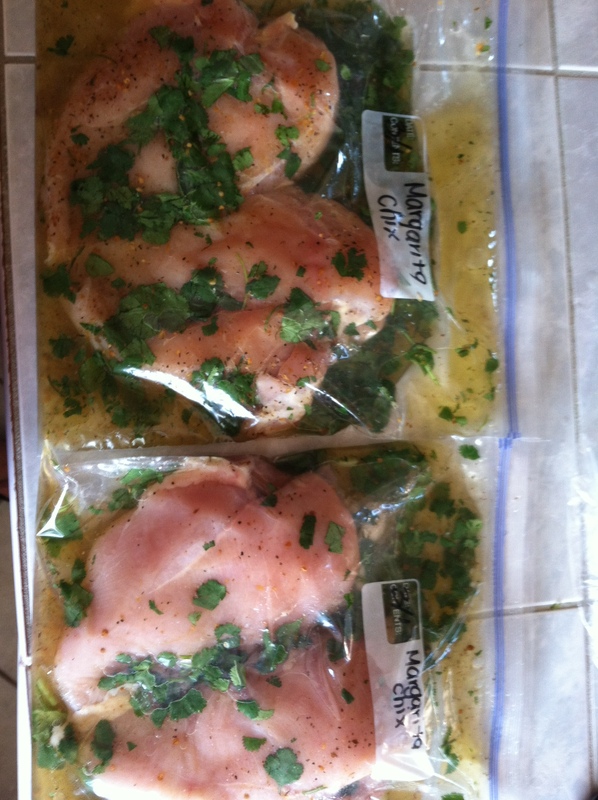 Whole chicken breasts and thighs are better left un cut and unshredded. Leave the chopping and shredding for after you cook it. It comes out better. 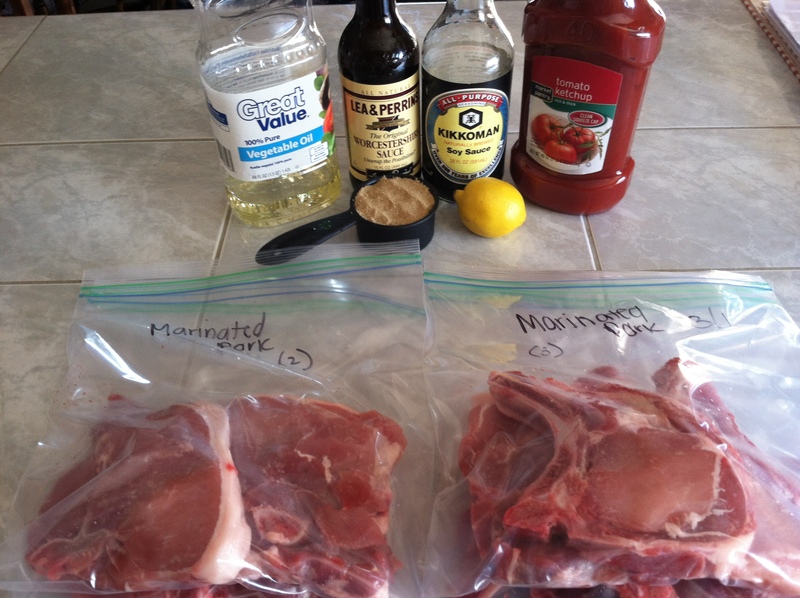 Marinades are awesome. Freezing the meat with the marinades make sure it gets infused into the meat. plus, it gets to sit longer while you are thawing it. Prepping before-hand makes mommy’s life so easy. Making freezer meals is great if there is a worth-while sale on meat. Meat is usually pretty pricey and takes up the majority of our grocery bill. Wait until you can get a killer deal on meat before you try this. 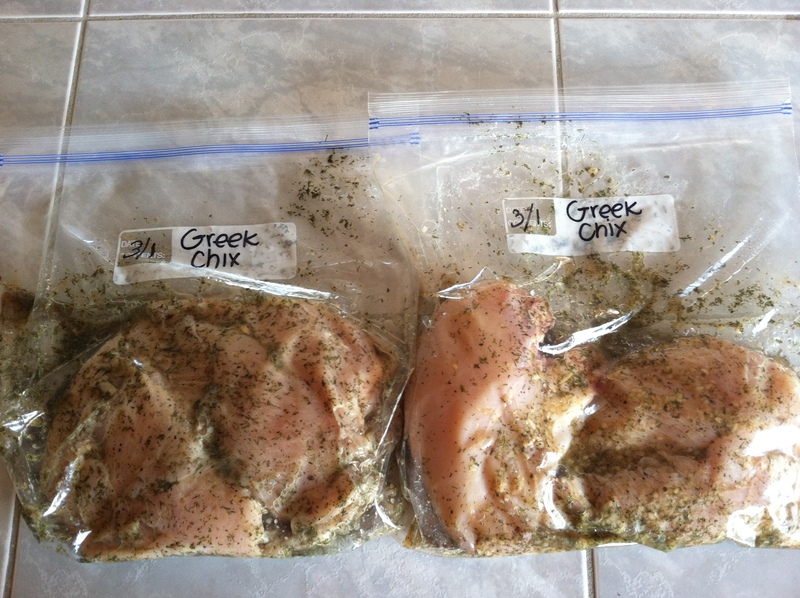 Preparing: Split chicken up between two freezer bags. Combine ingredients and split between the two freezer bags. Toss and knead into the meat. Flatten down so there is little to no air. Freeze. Preparing: Split pork up between two freezer bags. Combine ingredients and split between the two freezer bags. Toss and knead into the meat. Flatten down so there is little to no air. Freeze. 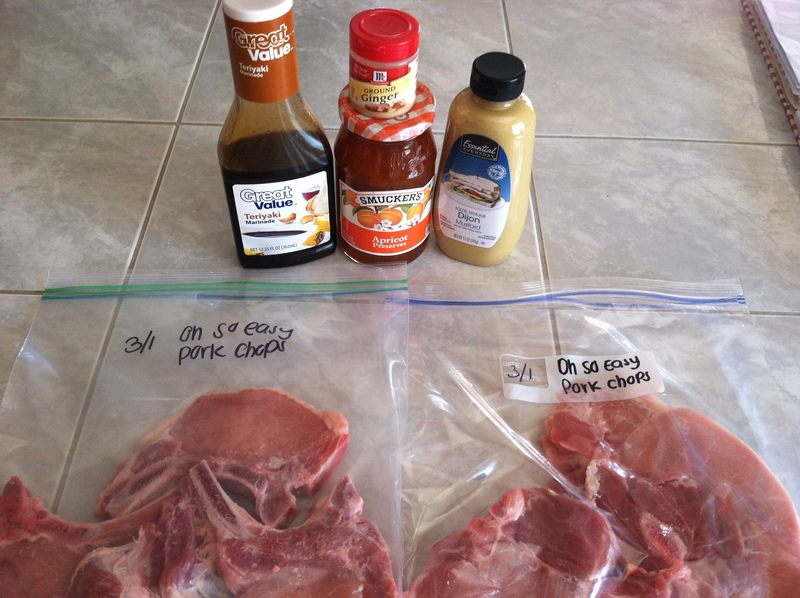 Preparing: place 2 pork chops in 2 bags and 3 pork chops in 2 bags. Combine ingredients and split between the four freezer bags. Toss and knead into the meat. Flatten down so there is little to no air. Freeze. Preparing: place meat into freezer bag. Combine ingredients and pour over meat. Toss and knead into the meat. Flatten down so there is little to no air. Freeze. I’m going to try all of this this week. Just to see how it goes. I plan on going back to school soon and while it’ll all be online, just having something i can pull out of the freezer and set on the counter without worrying about it later makes me so happy. I know what you mean. I love not having to worry about dinner! I spent a WHOLE day freezer meal prepping the first time. It’s best to do it when you can get neat on sale so that it’s not too expensive. Happy meal planning, Rebecca! I love that you give recipes that are not crock pot recipes!! My house is also a NCP (non-crock pot) house. I’m am trying my first go at freezer meals and it is becoming unbelievably hard to find good ones that are NCP. I am also huge on chicken, so I will definitely be giving these a try. Thank you! We love our crock pot, but sometimes I just want something different. A lot of those meals can be converted to oven baked, but its hit or miss. 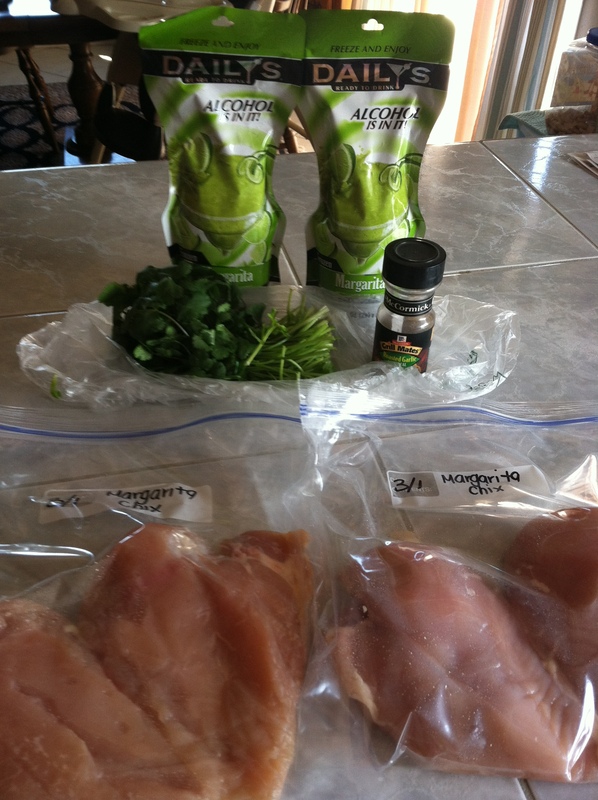 Thanks for the marinades! Cant wait to try them! You’re welcome. 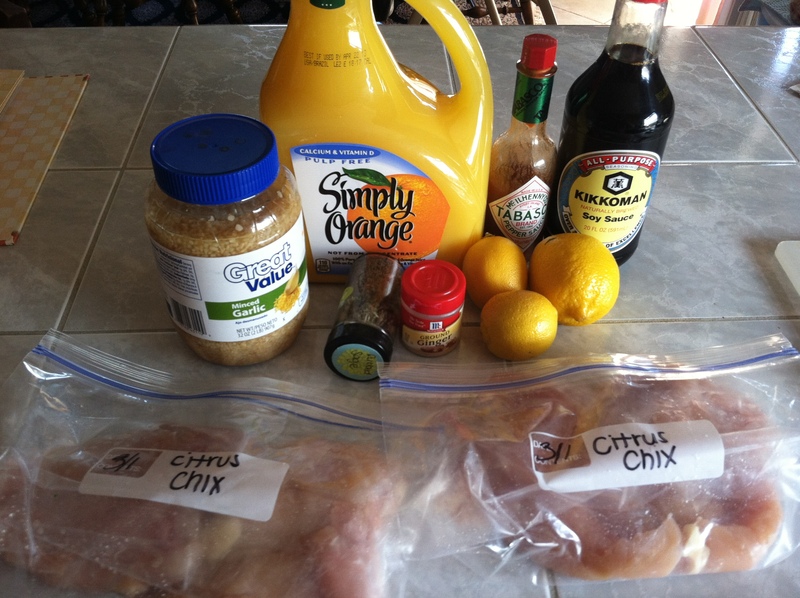 I’m a marinade type of gal. 🙂 Hope you like them. These sound wonderful! Thanks for sharing. Can’t wait to make them. You’re welcome! 🙂 let me know what you think of them when you try them. I also have two under two and need something like this. What do you typically serve with these meals? I usually make rice in my rice cooker. Most people don’t know that you can put veggies on top of your rice in the rice cooker and have less mess to clean. I also grill corn (in the husk with butter garlic and a little chile powder wrapped in foil). I have also cooked baby red potatoes in the oven with olive oil, garlic, and spices. Which meal were you thinking about making? Here’s a little tip: don’t leave them in the freezer longer than 6 months and eat the sesame chicken before that because the salt content in the marinade will mess with the chicken. The margarita chicken was FABULOUS!!! This will fast become a staple in our home. The kids loved it too!!! Thanks! Awesome! I’m glad you like it. 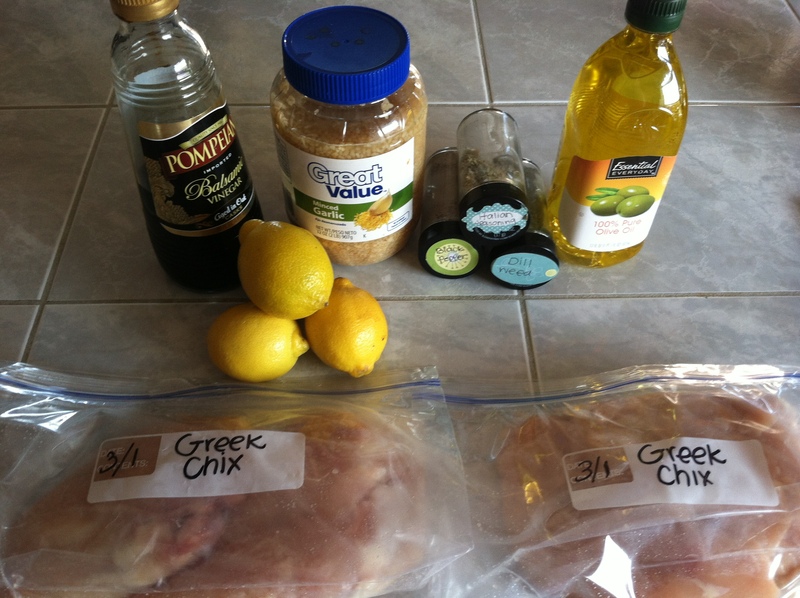 I just bought some chicken on sale in bulk, so I think I need to plan to make that again SOON! I have been doing freezer meals for 3 months. I prep 1 day for the whole month! I’m loving it, but getting tired of soups/stews and crock pot meals. They are just too heavy for hot summer days! Thanks for the great ideas for NCP meals! 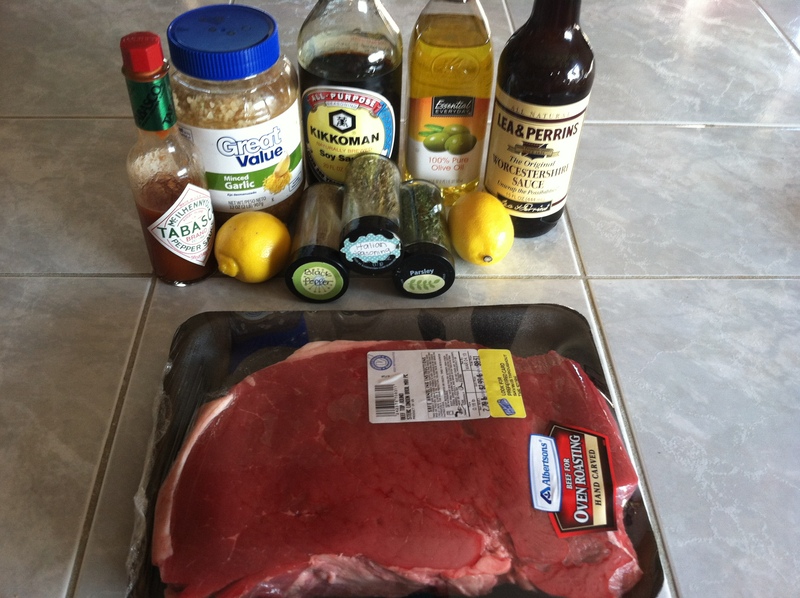 Hi there, would like to try the steak marinade, but never heard of london broil. can you use flank or sirloin tip steak?